White chocolate bars with 25% cocoa from AMATLLER Spanish Chocolatiers in Barcelona making chocolate since 1797. 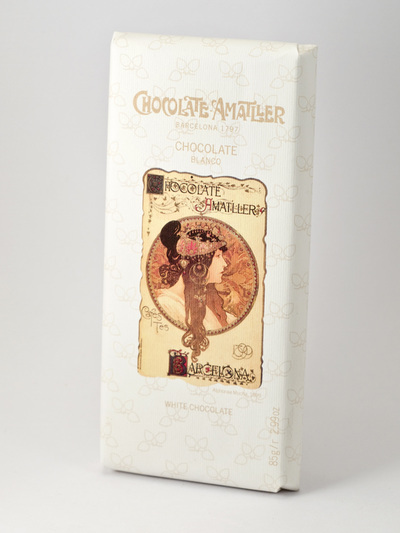 Amatller were famous for the art works commissioned to wrap their chocolate in. 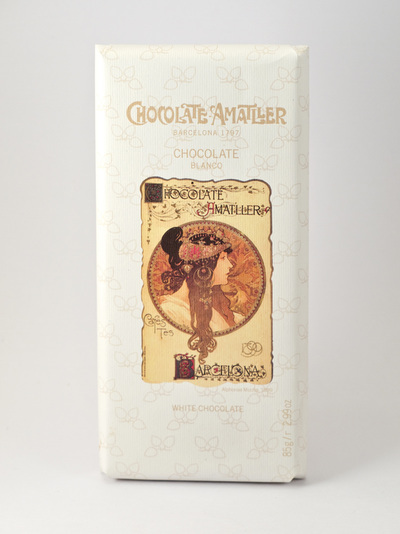 Its content of 100% cocoa butter results in a creamy chocolate, which melts in the mouth in seconds. 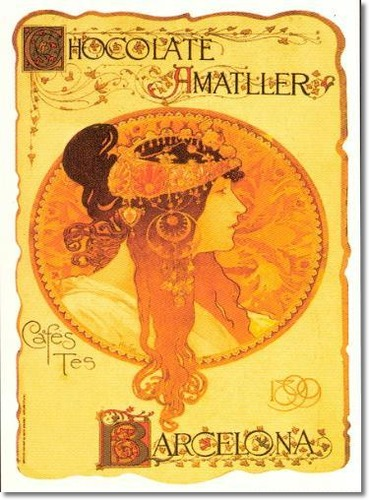 It is wrapped in paper illustrated with a promotional poster from 1899, the work of Alphonse Mucha. 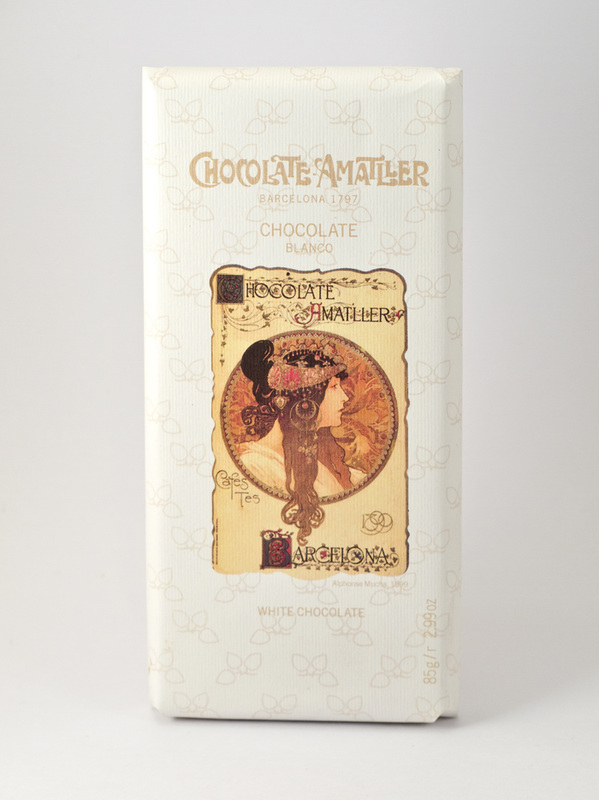 Ingredients: Sugar, cocoa butter,whole milk powder, cocoa mass, emulsifier (soya lecithin) and flavouring Cocoa Solids: 25% minimum.